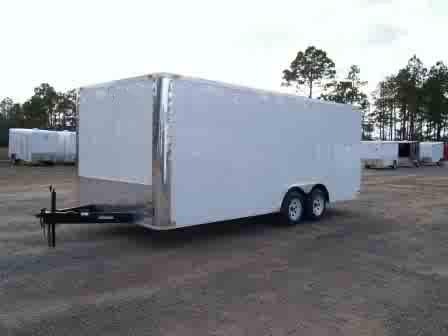 Specializing in 8.5 ft x 16 ft Enclosed Car Hauler Trailers for Sale. 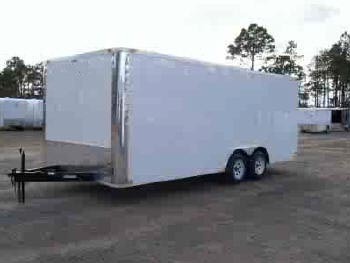 Our 8.5 x 16 foot car haulers are custom made to your specifications with a fast turnaround time of 1-2 weeks from receipt of your payment. 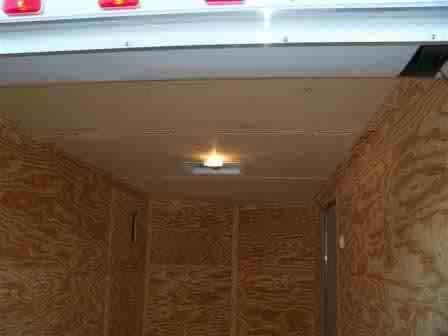 All of our 8.5 foot car hauler trailers have semi-flat roofs and come with standard equipment including heavy duty ramp doors, aluminum fenders, 3/4 inch plywood flooring and walls, a 2,000 pound A-frame jack, and more. We also offer optional equipment and enclosed trailer accessories to customize everything for the interior and exterior of the 8.5 foot car hauler including the structure, tie-downs, tires and wheels, doors and windows, and more. 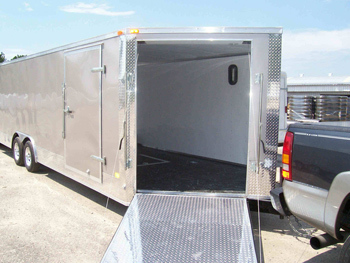 We offer a wide range of sizes in our line of 8.5 foot enclosed car hauler trailers. If an 8.5x16 ft car hauler is not the perfect size for you, you may be interested in our 8.5 x 18 foot car hauler, our 8.5 x 24 foot car hauler, and everything in between up to an 8.5 x 32 ft car hauler trailer. 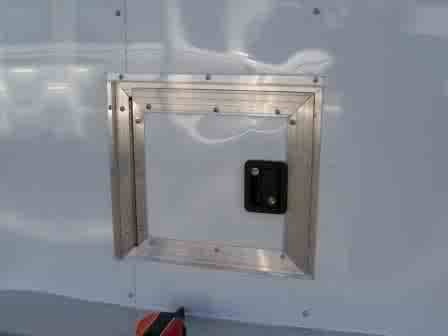 All 8.5 X 16 ft enclosed trailers are manufactured in the order in which customer trailer deposits are received. White is our standard color, but you may choose from different enclosed trailer color options for an additional small fee: Black, Arizona Beige, Dove Grey, Medium Charcoal Grey, Dark Grey, Silver Frost, Crystal White, Brandywine, Victory Red, Snyder Orange, Emerald Green, Cargo Green, Deep Blue, Indigo Blue, Light Pewter, and Penske Yellow. 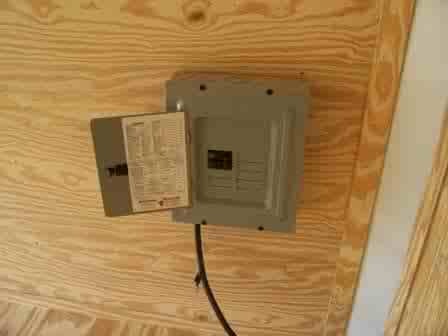 See the Exterior Options listed below. Click here to see color chips.